The Apple loving world had five days to recover from the announcements made by Tim Cook and his team during the media event at the Yerba Buena Center for the Arts last Wednesday. The new iPad and Apple TV units are set to hit shelves around the world this Friday and if recent reports are anything to go by, then the user take up is set to be huge! The run up to the media event consisted, as always, speculation flying all over the place about the features of the new products with some of the reported additions being added, and others being far from the truth. With the event now over, attention will fall back onto the next big release in Apple’s mobile product line – the new iPhone. One of the up in the air features of the new iPad was whether or not it would come with 4G LTE connectivity, allowing users the benefit of much faster download speeds. Obviously, with the introduction of the iPad Wi-Fi and iPad Wi-Fi + 4G, the LTE inclusion has been confirmed and now unnamed sources are stating that the new iPhone will be released later this year containing the same technology. The hit and miss speculation site Digitimes, are citing a source from within the ranks of a Taiwan-based smartphone manufacturing company, who claims it is "very likely" that the next-generation iPhone will contain an on-board 4G LTE radio. 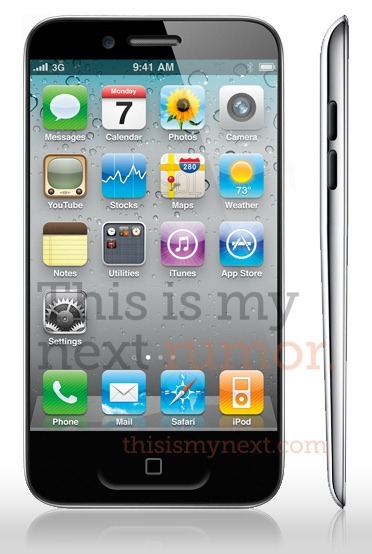 The same site is also stating that the second half of 2012 is when we will see the new iPhone being launched, something which isn’t exactly a ground breaking revelation as we already expect Apple to keep to the same launching strategy as the iPhone 4S. If the report turns out to be accurate, then it is expected that the popularity of the new iPhone will drive a number of handset sales that contain embedded LTE technology up to 50 million units. The project goes some way to show just how popular analysts think the new iPhone will be, considering that early reports for world wide sales of LTE capable handsets sat at the 25 to 30 million region. If the October launch date is continued for the iPhone, then we have at least six months of speculation in front of us, but it is widely accepted that any new iPhone release will feature a faster processor and possibly a slightly larger display. Reports have also suggested that Apple are planning to implement a totally redesigned antenna system to bring improved reliability. As always, if any further information becomes available, we will bring it to the masses.